If you’re hoping to find some fun things to do in San Diego, there’s lots to choose from! The San Diego Zoo is one of the best around, with over 4000 animals and more than 800 species to explore. If you’re a history buff, check out Mission Basilica San Diego de Alcala, California’s first mission (and first church) founded in 1769. Tours are conducted on a weekly basis, covering the role of the mission in the Spanish American war, as well as the influence of Native American culture as the community evolved around the mission in the 18th and 19th centuries. San Diego always has something happening. Discover what the weekend has in store. If you’re planning a vacation to San Diego for the family, you’re in for a treat since there’s a ton of exciting family activities perfect for kids. The San Diego Zoo Safari Park is a must-stop (you’ll feel like your in sub-saharan Africa without the pinch of immunizations). And don’t miss Legoland at 1 Legoland Drive, with 50 rides, shows and Sea Life Aquariums’ seven-foot long Lego submarine. When you’re ready for a sugary treat, head to The Spanish Village Art Center with tons of local artisans and shops where you’re sure to find fun things for kids and parents alike. Throughout So Cal, the locals know that making the trip down south to San Diego means fun activities for the whole family. From Seaworld, to the notorious San Diego Zoo and Safari Park (which can take up to two full days to completely explore) and Legoland, but let’s face it, sometimes it’s best to save money when going on a family trip. Things to do San Diego are plenty for both families and couples on a romantic trip in SD. One of our favorite family friendly places in SD is the The New Children’s Museum located blocks away from the Gaslamp Quarter and in close proximity to the Pacific Ocean. The museum features a contemporary art installation just for kids, an audio room, creative activities and scheduled workshops and an outdoor space to explore for both toddlers and older kids alike. Check out their schedule and ticket prices here. P.S. You can also schedule a birthday party ahead of time! One, Two, Three Strikes… Your Out – At Petco Park! A long standing tradition in America, you can never go wrong with taking the whole family to the field for an exciting outdoor game of baseball. 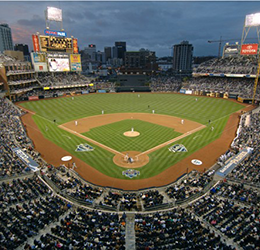 The Petco Park stadium is located in heart of downtown SD and home to the San Diego Padres of the MLB. 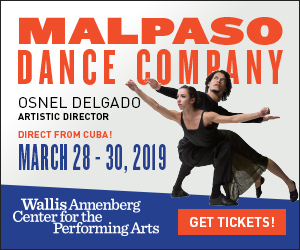 Perhaps you can plan a trip to SD when you’re favorite team is in town playing against the Padres, or if you’re not a baseball fan of any specific MLB team, even better! An SD baseball game is all about the experience. From outstanding local SD food and beverage offerings, to kid friendly spaces. Grab a hot dog and ice cream for the kids while the ‘rentals can enjoy some local craft brew and cocktail stations; such as Ballast Point’s The Draft tap room on the Garden Level, and the Cutwater Spirits Rum Bar on the Field Level. Wanna get a bit more fancy than just hot dogs? Try Phil’s BBQ located next to the Showley Bros. Candy Factory or the crowd pleasing Neapolitan pizza by Buona Forchetta, Petco Park’s newest food stall addition this year. Family friendly in SD just got even better, cheers! Looking for Los Angeles Events This Weekend? Why is it that every time I’m too busy to explore my hometown of Los Angeles, I have tons of idea for all the things I’d like to do? But just when I’m on the spot to find an event for friends coming into town, or even come upon a pocket of free time, I find myself scrambling for that perfect outing? Luckily I have a friend whose job requires that she know exactly which Los Angeles events this Weekend are worth doing. She told me about the ongoing exhibit “The Art of Abstract Painting,” in Culver City, running every weekend through August 31st. It features painting, digital prints and fashion created by renowned artists who celebrate food in their work.